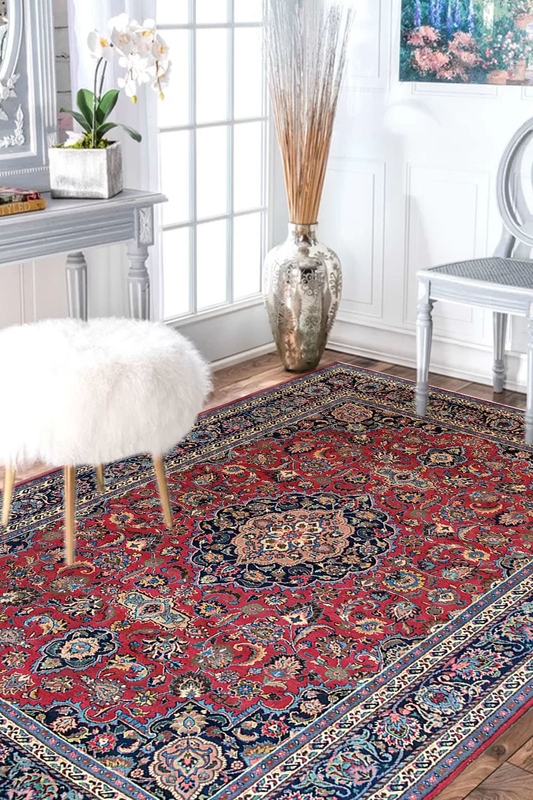 This stunning design carpet is beautifully handcrafted in pure New Zealand wool and Cotton material. The warp is in cotton and weft is in pure wool. This is ideal for the living room and bedroom.